All I want is to punch giant robots with my own giant robot, maybe turn into a car. Is that too much to ask? 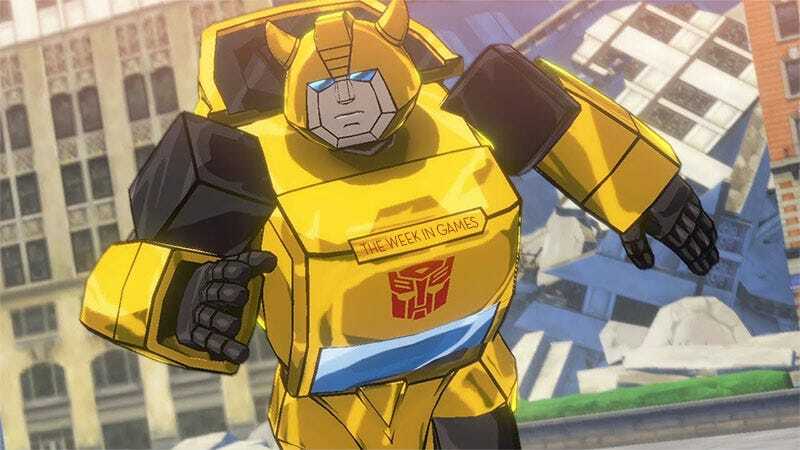 Transformers: Devastation comes out his week. I should be happy. But review codes don’t seem to be coming until either launch day or the day before (fingers crossed), and the last time publisher Activision did that was...last week with Tony Hawk’s Pro Skater 5. I think I’m getting a headache. Need to lie down. Did I miss anything important? Anything you’re looking forward to on Steam or mobile? Sound off in the comments section, filled with poi.